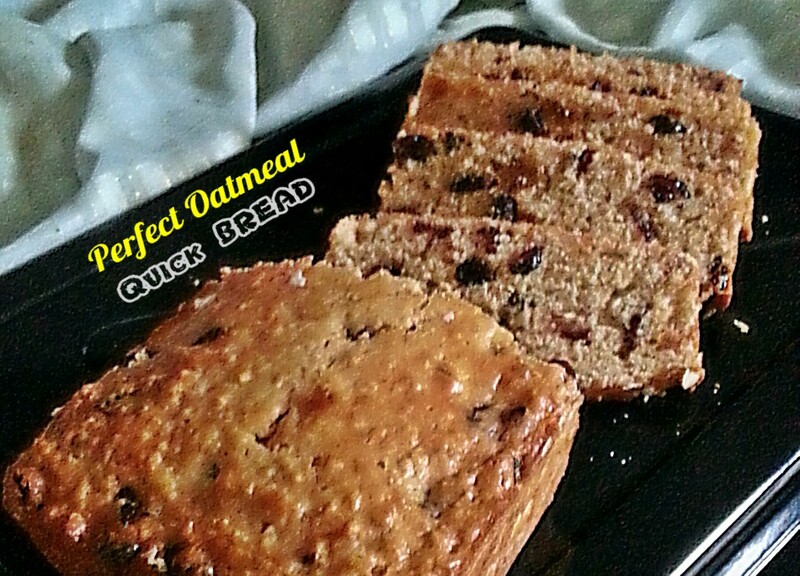 Enjoy this yummy quick bread made with mashed potato, perfect for breakfast or in between snack. 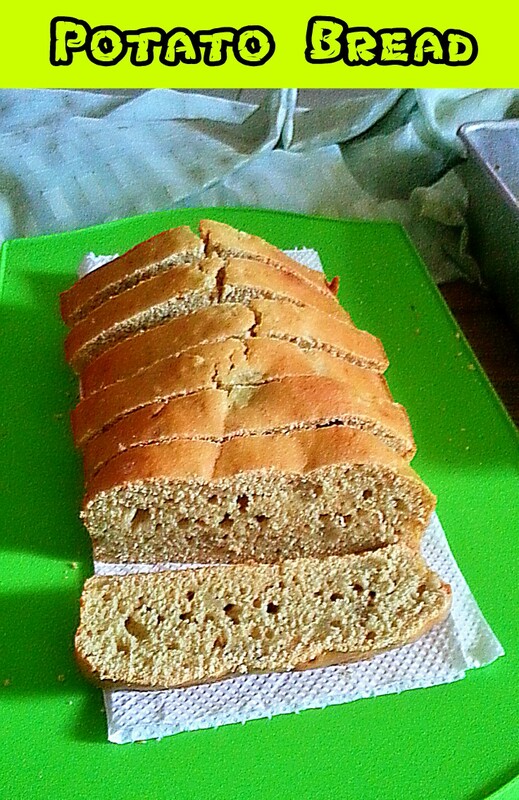 My Potato Bread is made free of yeast so no waiting and kneading required. I used 3 medium potato, peeled and boil until tender. Water level should be above potato. Once cooked, mash it while still hot. 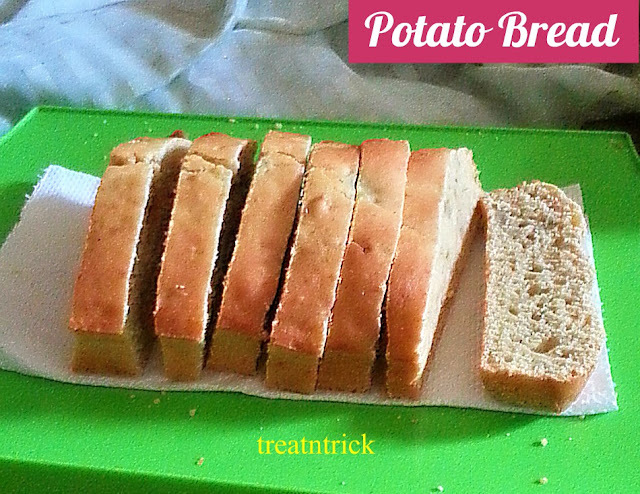 This Potato Bread was mildly sweetened but you may add more if you prefer a sweeter bread. Baked this for exactly 50 minutes so adjust according to your oven setting. . 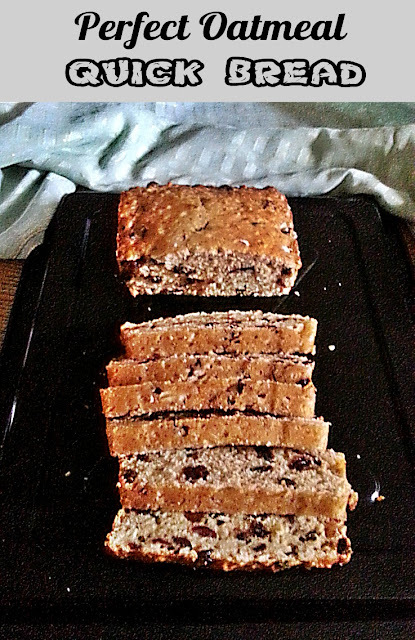 It is made with a day old rice that was left a night before. 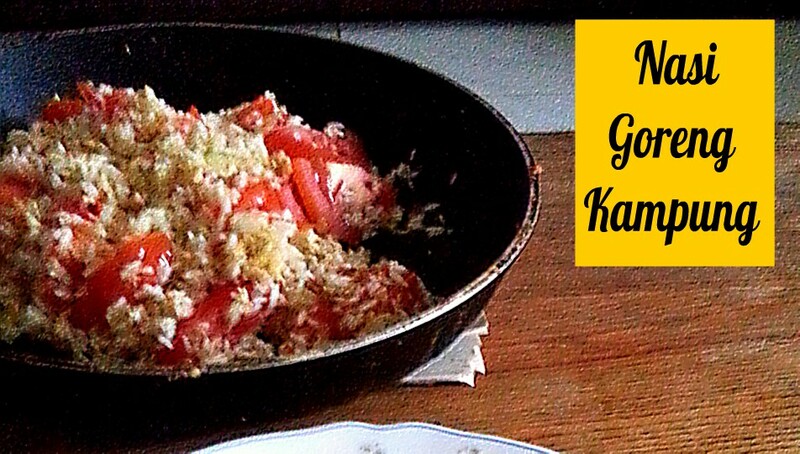 A freshly cooked rice can be used but reduce the water a bit or cook it using a microwave oven. 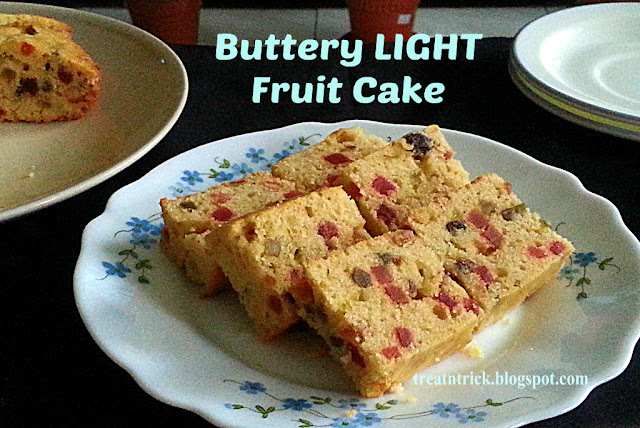 recipe here . . This Nasi Goreng Kampung was spicy all due to addition of bird's eye chili so adjust accordingly to your liking, You can add vegetables like long bean, cabbage, carrot or kangkong (water spinach) but am out of those so just added 2 sliced tomato. Some might like to top this rice with egg with sunny side up or fried anchovies but I prefer to add anchovies when blending my onion and chili. After frying the spices until fragrant, push them to side of pan, heat little oil and crack the eggs. 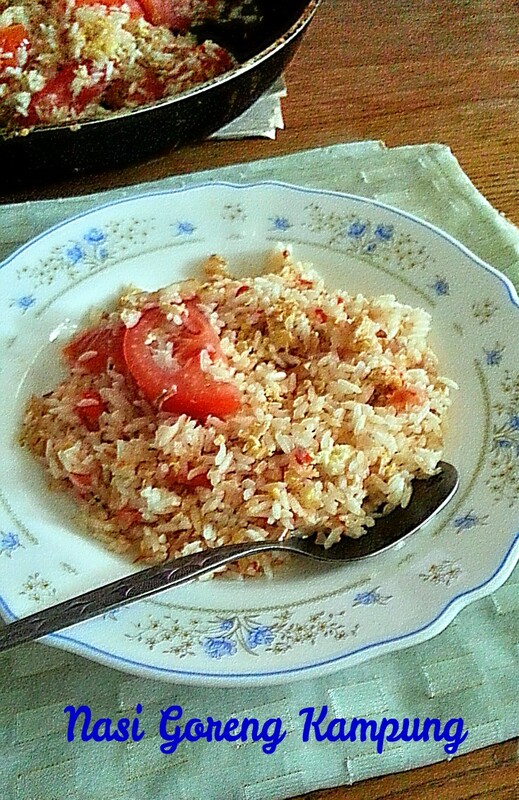 When cooked add in rice, salt and tomato. It is now ready to be served. A perfect sweet bread to accompany your morning cup of coffee or tea. 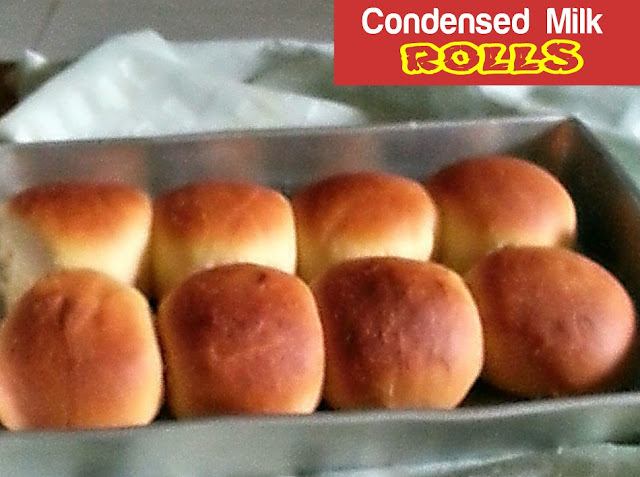 Condensed Milk Rolls is similar with other sweet bread recipe but with addition of sweetened condensed milk. 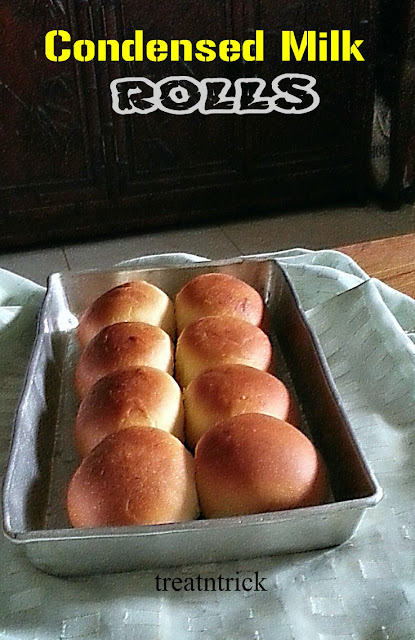 These rolls require longer time to rise, in my case it tools more than 90 minutes. Out of this dough I get 9 decent rolls.